Bike Stunts Tricky Racing Master : Best Stunt Bike Games of the World Bike Stunts Tricky Racing Master lets you to explore stunting, racing on impossible tracks. 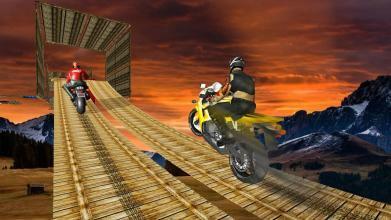 Perform great stunt with crazy tricks in best stunt bike games of the world. 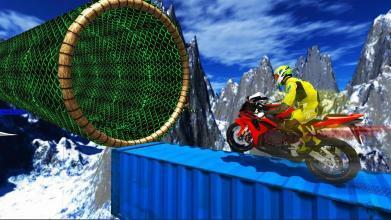 Enjoy new exciting sky tracks of stunt zone in 3d environment. Prepare yourself and accelerate your bike to high speed for endless adventure. 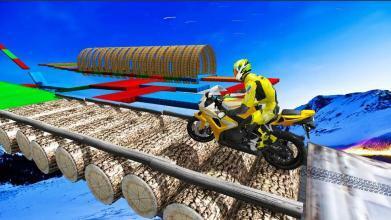 Accept the stunt challenges and prove that you are best rider of bike games. In this motorcycle stunting game be careful avoid accidents and save your bike from crash. Best motorcycle racing game which is hard to master and handle. Ride and stunt on superbike to show your stunting skills. First bike is unlocked and you have to complete the missions to unlock other stunt bikes. It is same like racing game but without any competitor. 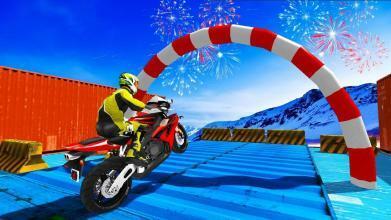 Perform crazy stunts and wheelies to score highest points in different levels. It is time based new game to complete the missions on time. If you are great biker and wants to prove your skills then this is the best Stunt bike race free game. Tricky stunt bike racing game 3d 2019 motorbike stunt racer has realistic stunts and bike physics. Racing bike moto stunt 3d game fever is addictive game with gorgeous Hd environment and enhanced graphics. Have you ever dreamed of stunning bike games, bike stunt games freestyle, bike Stunt Games 2018 Impossible tracks, motorbike freestyle extreme 3d. 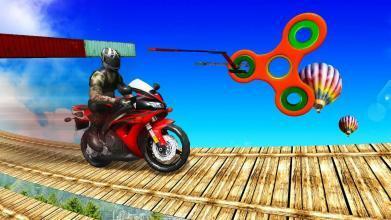 Get ready for new 3d bike stunt game. Download and play the stunt biker 3d mania in the Stunt bike games 2018. Game Features: - Different types of bikes - Addictive fun game - Smooth gameplay - Realistic stunting experience - 3d camera views - Amazing 3d environment and Hd graphics.